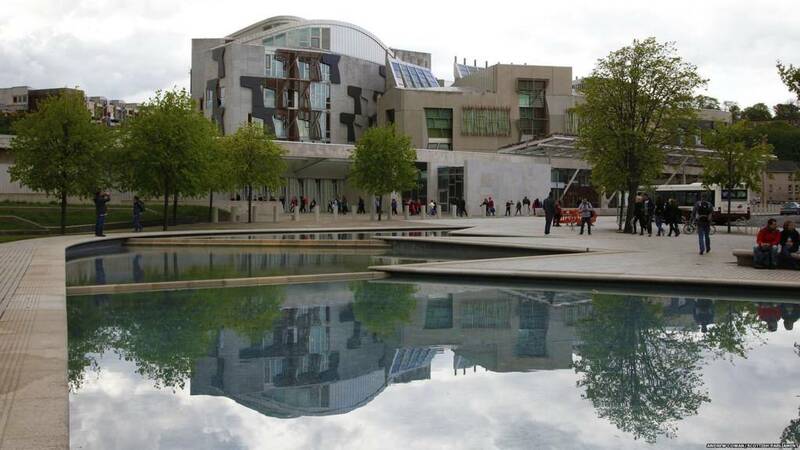 That's all from Holyrood Live on Tuesday 19 March 2019, a very busy day! Finance Secretary Derek Mackay accused the Treasury of "ripping off" Scotland as UK ministers seek a Brexit deal, when responding to the the spring statement. Earlier the health committee was told communications between infection control nurses and maintenance staff at a Glasgow hospital hit by a series of outbreaks were "not particularly great". Labour MSP Anas Sarwar called on the Scottish government to create a fund for security at places of worship following the terror attack at two mosques in Christchurch. And.... the Damages (Investment Returns and Periodical Payments) (Scotland) Bill was passed. Tourism Secretary Fiona Hyslop welcomes the passion of MSPs for the industry, but warns it is fragile. Brexit will affect recruitment, warns the minister. She highlights the Clan Fund and Rural Communities Fund. It's going to be a hard year for Scotland, Ms Hyslop concludes, but we remain an open and welcoming nation. Movie tourists helped Scotland's castles enjoy a boost in visitor numbers, new figures suggest. Historic Environment Scotland (HES) said more people were visiting after Scotland was used as a location in films such as Mary Queen of Scots. Doune Castle near Stirling - which featured as Castle Leoch in Outlander - saw a 14% increase in footfall after 142,091 people visited last year. The report says that set-jetting is a growing trend in Scotland, partly due to the "Outlander Effect". Councillors in Edinburgh have voted in favour of a "tourist tax", which could become the first of its kind in the UK. Edinburgh's transient visitor levy (TVL) proposals include a £2-per-night charge added to the price of any room for the first week of a stay. Lib Dem MSP Liam McArthur points out Orkney is expected to have 164 cruise liners visiting, making him quietly confident it will beat Stuart McMillan's constituency. "I can confirm tourism in Orkney is on the up," he continues, adding the sector brought in £50m in 2017. He details the awards and reviews that show Orkney is a quality destination. The Lib Dem MSP wishes all those working in the tourism sector a good 2019. Background: What is the Scottish Tourism Alliance? The Scottish Tourism Alliance is the largest member organisation for tourism businesses in Scotland and the leading representative body for its tourism industry. Their aim is to shape a vibrant tourism industry for Scotland's visitors and people and influence the creation of industry-friendly policy through evidence to enable Scotland's tourism industry to reach its growth potential. The Scottish government's budget was passed a after the SNP struck a deal with the Greens. Legislation to allow councils to set a local "tourism tax"
Green co-convener Patrick Harvie praises new tourist attractions as well as old ones. He points to some challenges facing the tourism industry, including bad practice in some accommodation, particularly in Edinburgh. The Glasgow MSP says short-term letting businesses could affect communities detrimentally. Local councils must be given more powers to raise revenue, he says, in order to reinvest the money into local services. He also warns about the potentially negative impacts of tourism, including unnecessary short haul flights impacting on the climate. Labour MSP Claire Baker insists tourism is important to Scotland's economy with tourists generating £12bn of economic activity. There has been significant increases in tourists coming from the EU, she says. The Labour MSP highlights the forthcoming 2020 Year of Coasts and Water. 2020 has been designated Scotland’s Year of Coasts and Waters, a year that will spotlight, celebrate and promote opportunities to experience and enjoy Scotland’s unrivalled Coasts and Waters, encouraging responsible engagement and participation from the people of Scotland and our its visitors. She says Scotland is doing well in the tourism sector, but warns it is a competitive market and goes on to highlight the 'Outlander effect'. The Conservatives applaud the recent rise in tourist numbers to Scotland. MSP Alexander Burnett says he's involved in a number of tourism businesses, and the Burnett clan gatherings are growing too. He says such events are another contribution to the Scottish economy. Mr Burnett also points to an extension of Aberdeen Harbour, which will allow bigger ships to dock there. Background: Why are tourists flocking to Scotland? For the sixth year running, Scotland has outperformed the rest of the UK in attracting visitors to its tourist attractions. Edinburgh is the top UK destination outside London - but the whole country is benefiting from a tourism renaissance. So why is Scotland punching above its weight? Mr McMillan insists our country has tourism opportunities in abundance. "It truly has something for everyone," adds the SNP MSP. He warmly welcomes the Scottish Tourism Month 2019 and praises the Scottish Tourism Alliance. "Westminster is committing criminal damage against Scottish tourism," says Mr McMillan, citing cheap flights and package holidays abroad. On a happier note he wishes Visit Scotland a happy 50th birthday. SNP MSP Stuart McMillan leads a debate on Scottish Tourism Month 2019. The Greenock and Inverclyde member wishes to celebrate the good work that is already being done within the industry, and to acknowledge that even more could be achieved by networking during March. MSPs unanimously do just that passing the Damages (Investment Returns and Periodical Payments) (Scotland) Bill. Labour MSP Daniel Johnson insists there must be a regime where people are disadvantaged and the fact the government may have been overgenerous is possibly a good sign. Tory MSP Dean Lockhart welcomes the additional clarity and transparency the bill brings. Community Safety Minister Ash Denham concludes calling on MSPs to back the Damages (Investment Returns and Periodical Payments)(Scotland) Bill.